Don’t look now, but springtime is right around the corner, meaning that youth baseball and softball will be in full swing a few months from now. With registration starting to ramp up, both Brad Arnsmeier — Keizer Little League President — and Ryan Walsh — McNary Youth Baseball President — are really encouraged about the direction of their respective programs going into the 2019 season. From 1972 to 2008, KLL was the only option for youth baseball and softball in the city. But just over a decade ago, several leaders left the group — with tournament revenue being the main point of contention — to form Keizer Youth Sports Association (which is now MYB). Both Walsh and Arnsmeier weren’t involved with their respective leagues when the split occurred, but both parties claim to actively be trying to bring the two groups together. “It’s not just the city that would like to see a unified program again in Keizer. I would say we all would like to be under one umbrella. Keizer Little League and MYB officials sit down several times each year to try and find common ground,” Arnsmeier said. While MYB Vice President Bo Lane does want to have those conversations about coming together once again, he also believes that it won’t happen in the near future. “I would consider both programs successful, so we need a really good reason to undoubtedly say that we need to make a change in order for our two programs to be better, and I’m not sure that we actually have an answer for that right now,” Lane said. One of the biggest philosophical differences between the two programs is the way teams are constructed. With KLL, players who tryout are put through a drafting process to determine which team they will play on during the regular season. At the end of the regular season, the best players will be put together to form an All-Star team that will compete in the District 7 Little League Tournament, with the hope of progressing to the state tournament or even the Little League World Series. MYB, on the other hand, has tryouts and places kids on teams that match their skill level and experience: Federal, highly competitive, American, very competitive, National, level similar to recreational. leagues with a bit more competitiveness. (For kids under the age of eight playing T-Ball or Double-A, only the recreation option is available). Each team will play a league schedule against other squads from the valley — such as Sprague or West Salem — and then has the chance to qualify for the state playoffs. There are also some minor rule differences between the two programs as well. For example, MYB, which plays by Junior Baseball of Oregon (JBO) rules, allows players to lead off of bases. But that is not permitted in KLL play. KLL also offers softball while MYB only does baseball. Since both KLL and MYB play the majority of their games at Keizer Little League Park, there have been some disagreements about what each side wants to do with some of the individual fields. At the KLL Long Range Task Force Meeting on Jan 2., MYB personnel stated that they wanted to make the infields all dirt — likely due to the fact that it would be easier to change the dimensions of the infield with the pitcher’s mound and the bases, making it so teams of different age and skill levels could use the same field. KLL, however, wants the infields to have the more traditional grass look for baseball — KLL has had the city’s contract for management at Keizer Little League Park since 2013. Even though it seems that theyhave conflicting ideals, Arnsmeier claims that the two sides aren’t all that different. “If people were to take a close look at the two programs, they would find out that we are so much more similar than different,” Arnsmeier said. The truth is that youth baseball looks much different in 2019 than it did in 1972. There are youth teams all over the Salem-Keizer area that aren’t attached to a league, so they exclusively play travel ball in weekend tournaments. Both KLL and MYB place a large emphasis on player development, which is why KLL Vice President Lisa Buik believes that keeping the two programs separate may not be such a bad thing. “It’s almost a better thing to stay as we are, because if we decide to march together under the same umbrella, it doesn’t stop somebody else from coming in and starting their own thing,” Buik said. Since the two groups split in 2008, there have been several instances of animosity between MYB and KLL over the last decade. One of the more recent examples came in December of 2017 at a Keizer City Council meeting regarding a proposal by KLL to hike up field usage fees by $10. Walsh, as well as other MYB members, were opposed to the increase. After Clint Holland — who manages the concession stand at Keizer Little League Park — claimed that not showing up to the fields for reserved times had a large impact on concession sales, the temperature in the room evidently got so heated that Mayor Cathy Clark had to cut the conversation short. At the task force meeting on Jan. 2, concession sales were a big point of contention yet again as multiple people at the meeting confirmed that, over the years, KLL and MYB kids and parents were instructed not to buy anything from the concession stand if it didn’t benefit their own organization — concession revenue goes to whoever holds the contract at the park. However, both Walsh and Arnsmeier indicated that the two programs have left those troubles in the past. Both programs also shared how developing players on and off the field is their top priority. “Our board is filled with people that are really passionate about kids improving and having fun and helping them become successful young men in our community.” Lane said. Even though they weren’t at full strength, the McNary boys hoops team put together a valiant effort against Newberg on Saturday night. But the Celtics couldn’t climb back into the game after falling behind by 21 in the fourth quarter and eventually lost 67-57 in the Newberg Boys Basketball Tournament Championship game. McNary was without two of their best players in Junior Walling and Griffin Oliveira. Walling has missed the last few contests due to injury, while Oliveira was not present due to “family stuff and prior engagements” according to Kirch. David Boston and Nate Meithof each had 23 points to carry the Celtics offensively, but in the end, McNary didn’t get enough help from the rest of their supporting cast. Smith got things going in the opening period with eight points on 3-of-4 shooting from the field as the Celtics trailed just 14-12 at the end of the quarter. However, it appeared that McNary couldn’t buy a bucket in the second quarter. The Celtics settled for several contested jumpers and couldn’t get out in transition, which led to them only scoring four points in the period, causing them to fall behind 26-16 at half. Meithof had the only field goal of the second quarter on a put-back layup with 2:50 left in the half. Things went from bad to worse for the Celtics as the game looked to be getting out of hand in the second half. After McNary ended the third quarter trailing 47-32, Newberg center Kyle Kruse knocked down back-to-back 3-pointers to start the final period, giving his team the largest lead of the game. It would have been easy for the Celtics to give up at this point. But they weren’t quite ready to throw in the towel. McNary put on a devastating full-court press on Newberg, defending with an intensity that wasn’t present for most of the game. The suffocating defense helped create turnovers into offensive opportunities as the Celtics went on a 12-0 run thanks to a pair of triples by Meithof and a floater by Devyn Schurr. The 12-0 scamper by the Celtics got the lead down to single-digits at 53-44 with 3:48 left and forced Newberg head coach Mark Brown to call a timeout. Out of the timeout, McNary set up their press and looked they were about to get a steal before a reach-in foul was called on Schurr. Schurr let his emotions get the best of him after the call and was immediately whistled for a technical foul. Newberg was awarded two free throws for the personal foul, two more for the technical and was given back possession of the ball. It ended up being a five-point trip for Newberg, which was too much for McNary to come back from. McNary is currently competing in the Arby’s Holiday Classic in South Medford. They return home on Friday Jan. 4 to take on Forest Grove at 7:15 p.m. in their final non-league matchup. Two defending state champions, Roseburg in 6A and Dallas in 5A, are coming to McNary as the Celtics open wrestling season on Friday, Nov. 30 with the Jerry Lane Invitational. Ebbs has been impressed with what he’s seen in the McNary wrestling room. “I’m seeing a better focus in the kids and I’m just seeing a better confidence in them,” Ebbs said. As usual, he just wishes there was more of them. The Celtics are led by senior Enrique Vincent, who has won back-to-back district championships and placed third in the state at 120 pounds as a sophomore and fourth at 126 as a junior. “I’m excited because it’s my last year,” said Vincent, who weighed in at 140 pounds to open the season and hopes to improve his technique and cardio. McNary junior Nicolette Parra leads a small group of girls. Surgery to repair a broken knuckle kept her from wrestling much in the offseason. While Parra enters her junior year more confident, she also knows she won’t sneak up on anyone. “I know what I’m capable of now but also people know my name now,” Parra said. 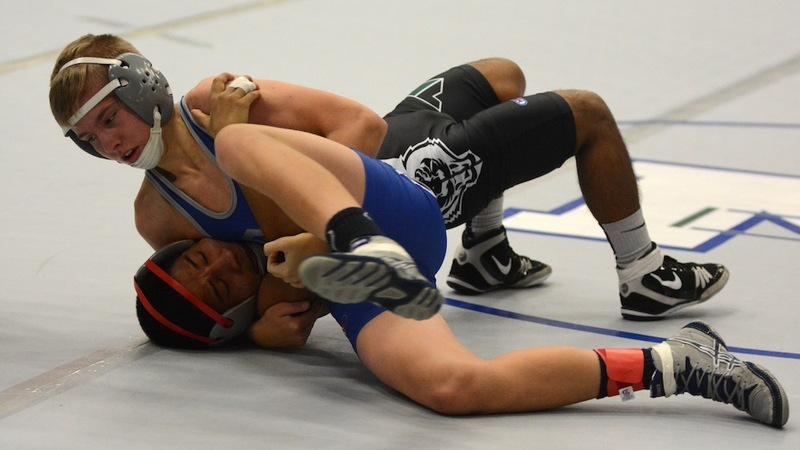 While the OSAA will have its first official girls state wrestling tournament this season, Parra isn’t ruling out wrestling with the boys and qualifying for the traditional state tournament. “I want to see if I can aim for boys state because I feel like it’s more of a challenge,” she said. Sophomore Grady Burrows is the only other Celtic who has wrestled at the state tournament after placing fourth at 106 pounds at the district tournament last season. McNary does return Garrett Wampler, who finished fifth in the district at 170, and Daniel Hernandez, who placed sixth at 120 pounds. Noah Gatchet, a junior who wrestled on the varsity at 106 as a freshman but sat out last season, is back. The Jerry Lane Invitational, which also features Cleveland, Grant, Glencoe and Jefferson, begins Friday at 4 p.m.
McNary’s seven sophomores, five of which played on the varsity as freshmen, spent last season getting out the nerves. “At the beginning of last year I was terrified because being a freshman and starting I didn’t want to disappoint my team,” point guard Leah Doutt said. Now, the young Lady Celts are ready to ball. Thanks to the varsity minutes played last season, McNary will be young but not inexperienced. Proctor gives the Lady Celts an outside shooting presence while Buss will provide toughness. Rebekah Grimmer, another sophomore who played varsity last season, can shoot and play inside. 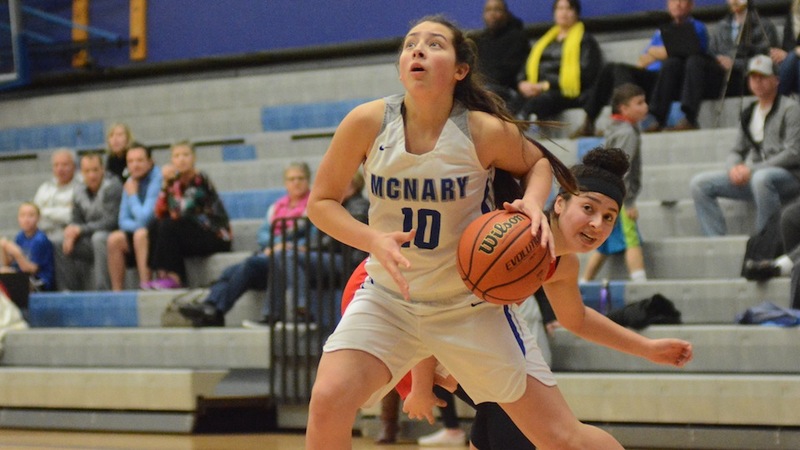 McNary returns two seniors in Abbie Hawley, who averaged more than nine points and three rebounds per game last season, and Sabella Alfaro, who averaged four points and more than four rebounds. The Lady Celts have two juniors—Kyah Witherspoon and Regann Donahue, who returns after sitting out last year. With its lack of height, McNary will again play fast. The Lady Celts open the season Thursday, Nov. 29 at home against Roosevelt. Jordan Graneto was voted the Greater Valley Conference’s boys basketball assistant coach of the year after McNary won the league title last season. But it was his experience as a player, where he won two league championships with the Celtics, that attracted Graneto to coaching. He wanted to be like Jim Litchfield and Erik Jespersen, his varsity and JV coaches at McNary. After graduating from McNary in 2009, Graneto earned a scholarship to play basketball at Corban University. After two seasons, Graneto stopped playing to become a volunteer assistant at Sprague. Right out of college, Graneto got his first teaching job at North Salem, where he was the JV coach. At just 22-years-old, Graneto was then named the head varsity coach at North Salem. But after two years he decided to return home and accepted a teaching position at McNary, where he was also the JV coach and assistant varsity coach under Ryan Kirch. With Graneto as an assistant, the Celtics had two of their best seasons in the program’s history, winning 20 games last season and 19 the year before. 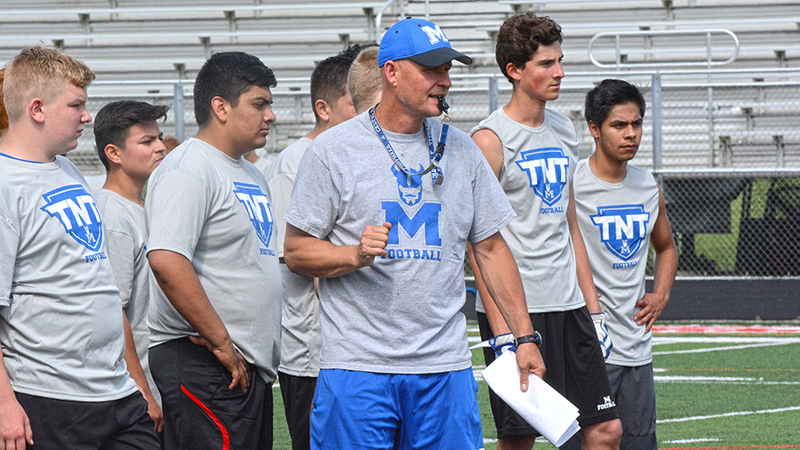 “The last three or four years are some of the best teams in McNary’s history,” Graneto said. 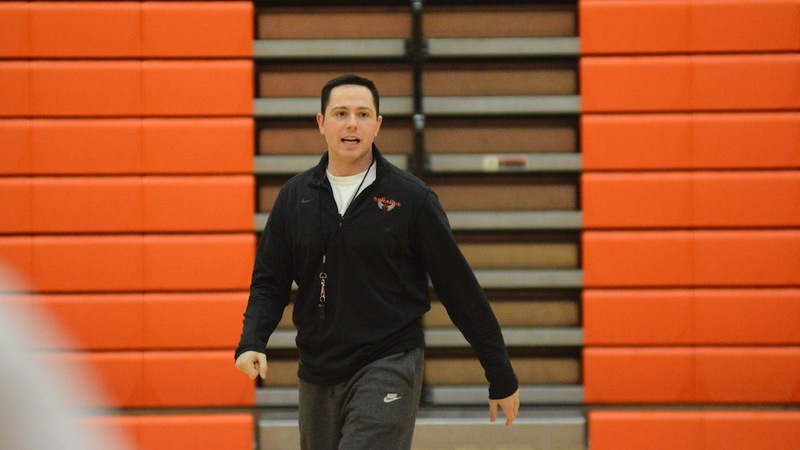 Making the extra pass and playing team defense will continue to be the focus as Graneto takes over the boys basketball program at Sprague, where his coaching career began. The Olympians will be one of the youngest teams in the new Mountain Valley Conference, after the graduation of Teagan Quitoriano, the leading scorer in the program’s history, and the transfer of Jailen Hammer to Clackamas. Sprague opens the season on Friday, Nov. 30 at Canby. The Olympians first home game is Friday, Dec. 7 against Beaverton. They host McNary on Jan. 24. LAKE OSWEGO—McNary’s football season ended the same way it started. Riding high off a four-game winning streak and a league championship, the Celtics, who opened the season 0-5, came back down to earth in a 56-33 first round playoff loss to Lakeridge. The Celtics competed early as quarterback Erik Barker connected with Devyn Shurr for a 47-yard gain on the first play of the game. After the drive ended with a blocked field goal, Lakeridge went 23 yards on three plays to take a 6-0 lead with 9:24 remaining in the first quarter. But McNary answered with a 12-play, 73-yard scoring drive to take its only lead, 7-6. Barker hit Nigel Harris for a 31-yard gain to get the Celtics to the 1-yard line, where Junior Walling then bulldozed his way into the end zone. The Pacers then took control, scoring on plays of 45, 61, 14, 18 and 20 yards to take a commanding 42-7 lead at halftime. After Lakeridge added another long touchdown to begin the third quarter, McNary’s backup quarterback, Ryan Bamford, connected with Jacob Jackson for a 17-yard touchdown. An interception by Harris gave the ball right back to the Celtics and Barker out-jumped a Lakeridge defender to catch a 6-yard pass from Bamford in the end zone. Bamford then threw his third touchdown of the game, on a 9-yard strike to Wyatt Sherwood, to get McNary within 49-26. Robert Benson scored McNary’s final touchdown of the season on an 8-yard run with 3:20 remaining. “We played a little harder, a little faster, like we should have played the whole game,” Auvinen said of the Celtics effort in the second half. McNary finished the season 4-6. The Celtics won all four of their Mountain Valley Conference games but were outscored 307-113 in non-league games. McNary had 10 football players voted to the All-Mountain Valley Conference teams. Junior Walling, a First Team running back and linebacker, rushed for 951 yards and 11 touchdowns while leading the Celtic defense with 79 total tackles, including 44 solo and five sacks. Joshua Schmeltzer was selected to the First Team at both offensive guard and defensive line. He finished the regular season with 22 tackles. Michael Ridgway (guard), Griffin Oliveira (receiver), Nigel Harris (corner) and Jacob Jackson (safety) were named to the First Team as well. Oliveira, who was also voted a Second Team safety, caught 30 passes for 334 yards and two touchdowns this season on offense and recorded 51 tackles and two interceptions on defense. Jackson, who was also honorable mention at receiver and kicker, had 62 tackles and five interceptions. On offense, he caught 31 passes for 354 yards and two touchdowns. Harris, who was also honorable mention at receiver, recorded 27 tackles, seven pass breakups and two interceptions. Dyami Rios, who had 69 total tackles and nine sacks, was voted to the Second Team at linebacker. Erik Barker (quarterback), Nathan Young (center) and Noah Bach (linebacker) were honorable mention . Jeff Auvinen was voted Coach of the Year. West Salem quarterback Simon Thompson was named Offensive Player of the Year and linebacker Alex Hurlburt was Defensive Player of the Year. McNary won its first league championship since 2005 last Friday. A road first round playoff game against one of the best teams in the state. While the OSAA power rankings have never been exactly accurate, this season’s schedule, which featured five non-league and four league games, has shown a brighter light on its imperfections. McNary finished seven spots behind West Salem, a team it beat handily just two weeks ago. The Titans have one more win and are benefiting from playing games against No. 1 Lake Oswego and No. 3 Sheldon. But neither of those contests was close and overall the Celtics played the tougher non-league schedule as two of West Salem’s wins came against No. 29 Grant and No. 23 Bend. Of course, McNary also defeated Bend, in a league game. North Medford didn’t do the Celtics any favors. After blowing out McNary to open the season, the Black Tornado lost six of their final seven games to finish No. 32 and barely make the postseason. But the Celtics other non-league games came against No. 6 West Linn, No. 9 Tualatin, No. 13 South Medford and Tumwater, who finished 8-1 in Washington. The Bend schools also have to be scratching their heads as Bend finished one spot ahead of Mountain View even though the latter just won 24-7 last Friday. Even more ridiculous, Sprague, who missed the playoffs after finishing No. 36, trounced No. 23 Mountain View 34-6 on Oct. 19. The Olympians, who played an even tougher schedule than McNary, could not overcome a one-point loss to South Salem on Sept. 21. 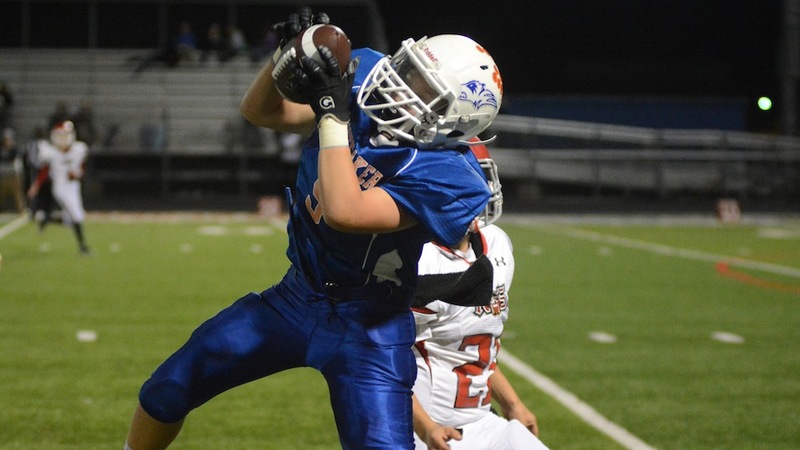 How did McNary and West Salem’s non-league schedules prepare them for the playoffs? Neither of these teams enter the playoffs with a lot of momentum. While the Titans did blow out Sprague last week, they are just two weeks removed from falling at home to McNary. The Skyhawks ended the regular season with a 30-14 loss at home to Aloha. On paper, West Salem and Southridge have similar resumes. Both defeated Mountain View. The Titans lost at Beaverton by two points while the Skyhawks won at Beaverton by five. Southridge hasn’t won a playoff game since 2014 when it then lost by 42 points to West Salem in the second round. I’ll take the team coming off a win and playing at home. Before Tom Smythe ever won a state championship at McNary, the legendary head coach won the title at Lakeridge in 1987. Smythe went a remarkable 157-32 in his first stint as head coach of the Pacers. But Lakeridge hasn’t had the same success as of late, posting a 7-20 record over the previous three years before finishing 6-3 this season. The Pacers, who last won a playoff game in 2014, were riding a four-game winning streak this season, before falling to No. 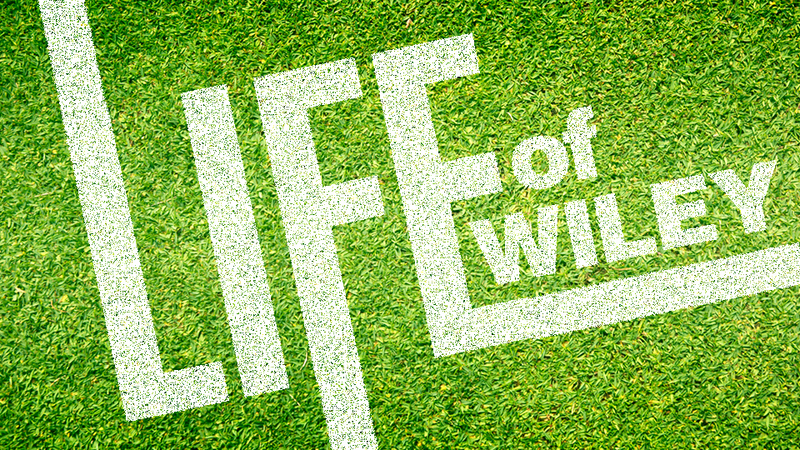 1 Lake Oswego 30-14 last Friday. That stretch included a 48-38 victory at No. 5 Tigard. Like McNary, Lakeridge also has wins over Sprague and Bend and lost at West Linn. This game will definitely test just how much the Celtics have improved after 28 and 44-point losses at West Linn and Tualatin in September. 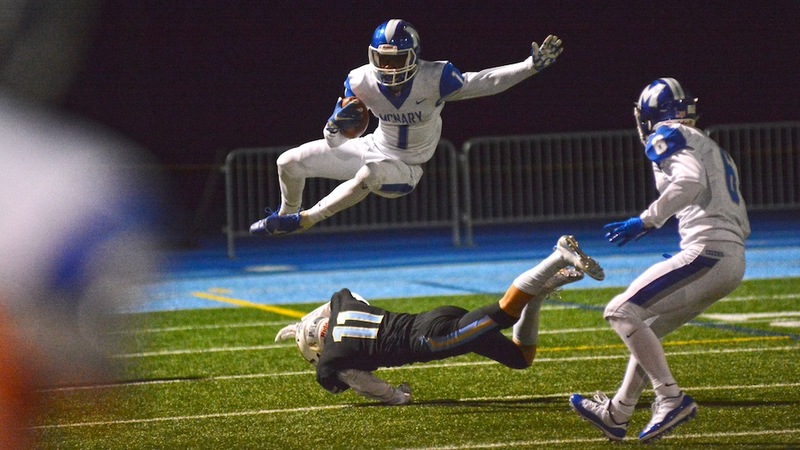 McNary is riding high after going 4-0 in league play. But the Celtics still haven’t played their best game. Derek Wiley is the associate editor of the Keizertimes. Whiteaker’s varsity football team didn’t get its storybook ending, falling to Parrish 20-6 on Thursday, Nov. 1 in the Salem-Keizer Middle School Championship game. The Wolverines tied the game at 6-6 when quarterback Braiden Copeland scored a 4-yard rushing touchdown with 55 seconds remaining in the first half. Whiteaker then recovered an on-side kick and Copeland connected with Johan Singh-Sanchez for a 34-yard gain to get inside the Parrish 5-yard line. However, three players later, Copeland was tackled at the 2-yard line as time expired. Parrish running back Josiah Davis then broke free for a 53-yard touchdown run on the second play of the third quarter to give the North Salem feeder the lead for good. The Wolverine offense again drove inside the Parrish 10-yard line but weren’t able to score any points after a holding penalty set up a fourth-and-long at the 21. Whiteaker’s defense then produced a turnover when linebacker Hunter Ruberto blitzed through the Parrish line and intercepted a handoff from Pioneers quarterback Nevin Zeller. But even starting at the Parrish 14-yard line, the Wolverines failed to add any points. Micah Richter added an 88-yard touchdown run for Parrish with 6:52 remaining in the game. Copeland got Whiteaker back into the red zone on a 59-yard run but the drive ended with an incomplete pass on fourth down at the 13. Copeland finished with 99 yards rushing and 144 passing. The Wolverines entered the game 7-0.